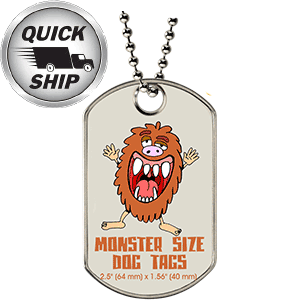 Order custom dog tags from LogoTags, the industry leader in custom dog tag pricing, quality, and selection. 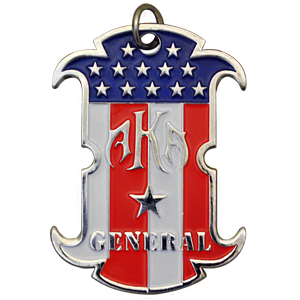 We can make any dog tag in any quantity in a variety of styles, materials and colors. Some styles can be rush shipped in a matter of days for those last minute events. They are great for identification and used as school participation medals, business promotional products, church fundraisers and camp prizes. We do not charge front side setup fees for our custom dog tags, and like all of our promotional products, we offer FREE artwork proofs and FREE changes! 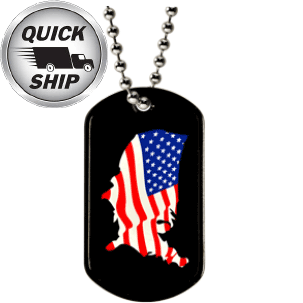 Request a free quote or order your custom dog tags online and see why some of the most recognizable brands in the world choose LogoTags for their custom dog tags. 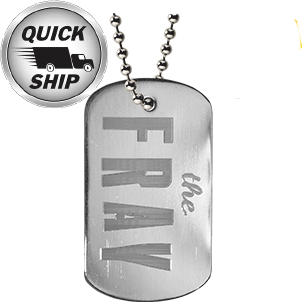 The classic military style dog tags on a rolled edge stainless steel tag. You can choose to have your text embossed on a shiny or matte tag. Each custom dog tag comes with a free USA made ball chain necklace. Printed on our state of the art color printing machines these tags will make your artwork or logo pop. They are produced at our NY factory & can be shipped quickly to you in a matter of days. 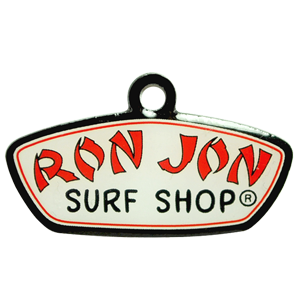 Your full-color logo printed on a stainless steel dog tag. Great cost-effective option. Various color dog tags are available. Shipped to you in a few days. As low as $0.38 per dog tag! These anodized aluminum dog tags come in multiple colors. 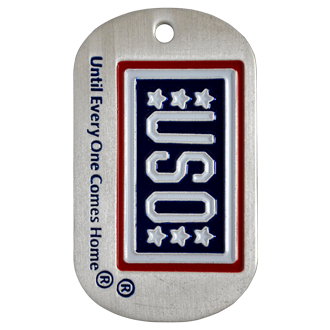 Your design is laser engraved on the dog tag, creating a beautiful and durable no color imprint. As low as $0.39 per dog tag! 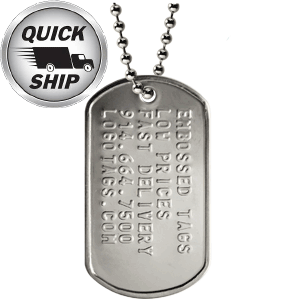 The classic military style dog tags on a rolled edge, stainless steel tag. Display up to 5 lines of embossed text on shiny or matte tags. Order online and have them at your door in days. As low as $0.36 per tag! Eco-friendly custom bamboo dog tags. Color print your logo directly on the tag. Locally produced in NY. Three tag sizes to choose from. As low as $0.49 per dog tag! 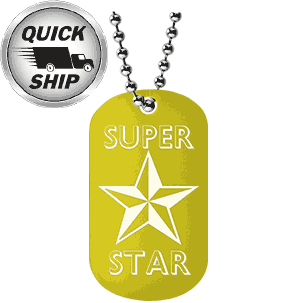 High-quality stainless steel mini dog tags with a custom full color printed design. Locally produced in NY for fast turnaround. Each tag includes a FREE USA-made ball chain necklace. As low as $0.35 per dog tag! Supersized dog tags for those extra large projects. Produced at our NY factory for fast turnaround. Each tag includes a free USA-made ball chain necklace. As low as $0.63 per tag! Great for full-bleed and very highly detailed images. 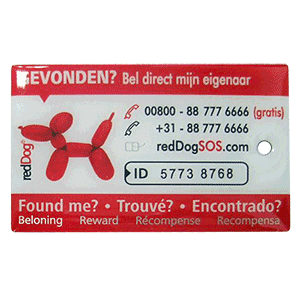 Offset printed tags are covered with a transparent epoxy coating to give the tag a glossy finish. As low as $0.54 per tag! Your logos and designs are stamped onto a shiny or matte rolled edge tag. 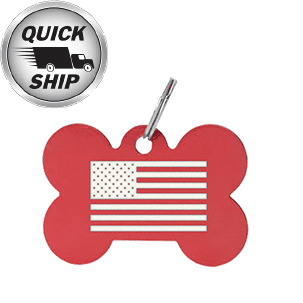 Popular with businesses looking for a durable and clean look on their dog tag. As low as $0.40 per tag! Our photo-etched dog tags are our most customizable dog tag option. The sky is the limit in terms of what you can do design wise when you choose this dog tag. As low as $0.55 per tag! 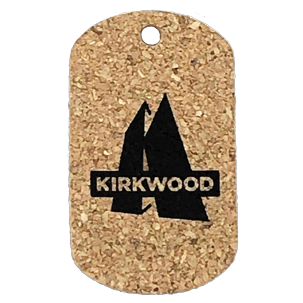 Eco-friendly custom Cork dog tags. Color print your one color logo directly on the tag. Locally produced in NY. Each tag includes a FREE USA-made ball chain necklace. 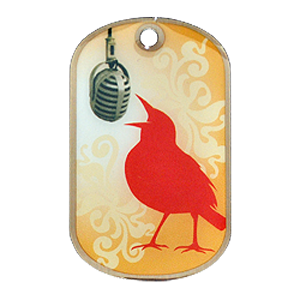 Silicone dog tags can have designs embossed, debossed or screen printed on their surface. Tie-dye and multicolor options available. As low as $0.42 per tag! These laminated, high gloss tags are great for photo's, detailed artwork, QR Codes and any image. They are made in the USA and can ship to you in days. As low as $0.39 per tag! 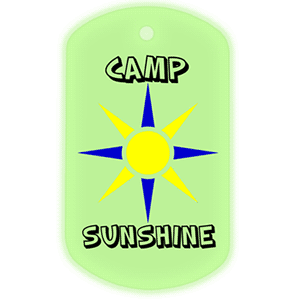 Our Glow-In-The-Dark dog tags are an easy way to add some to a school or camp evening outing. As low as $0.51 per tag! Very cool no-color option in which your design engraved on the tag with a state of the art diamond engraver. As low as $0.57 per tag! We like to say to our customers, "if you can think it, we can make it." 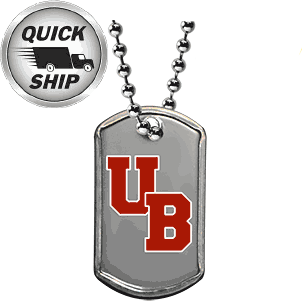 From jeweled dog tags and unique cutouts to custom tags made out of precious metals, LogoTags has you covered. Free 24" or 30" ball chain necklace! Dog tags for dogs! 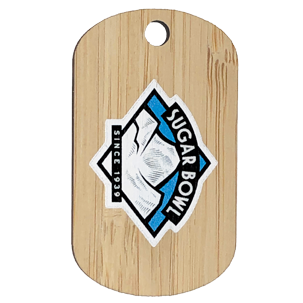 We will laser engrave your design onto an anodized aluminum bone-shaped tag. Order custom pet tags from LogoTags. We can produce metal tags in just about any size or shape. Sequential numbering and unique identification numbering options are available. 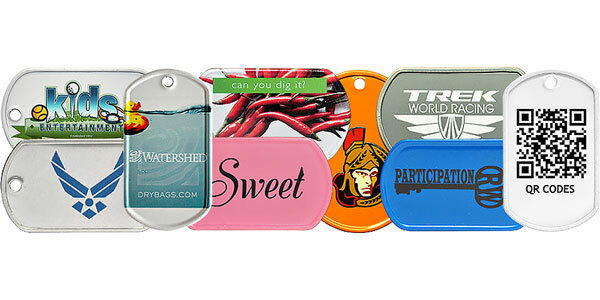 LogoTags Is The Leader When It Comes To Custom Dog Tags. What is even better than a custom dog tag? A custom dog tag bottle opener! 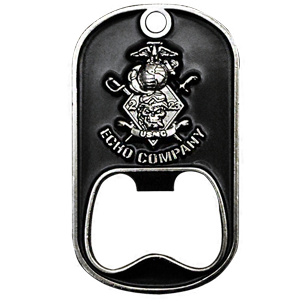 We have multiple styles, materials and options for dog tag bottle openers. Click below and browse our selection. As low as $0.55 ea! 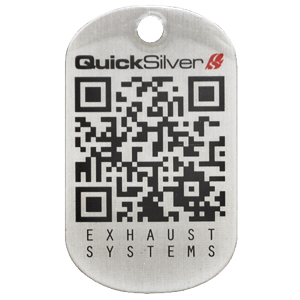 We can produce custom metal tags of all shapes and sizes, and can be customized to your specifications. We don't just offer custom promotional products. 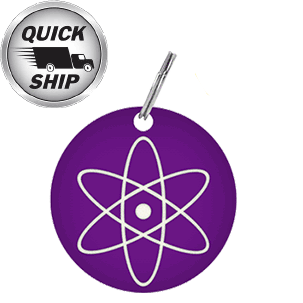 We provide custom packaging, warehousing and distribution services. Get your product how you want it, where you want it and when you want it!